The Simulation Centre delivers high-fidelity, realistic simulations for teams at BC Children’s Hospital. Simulations can be low, medium or high-fidelity, depending on the purpose of the simulation, the needs of the learners and the expected outcomes of the simulated activity. 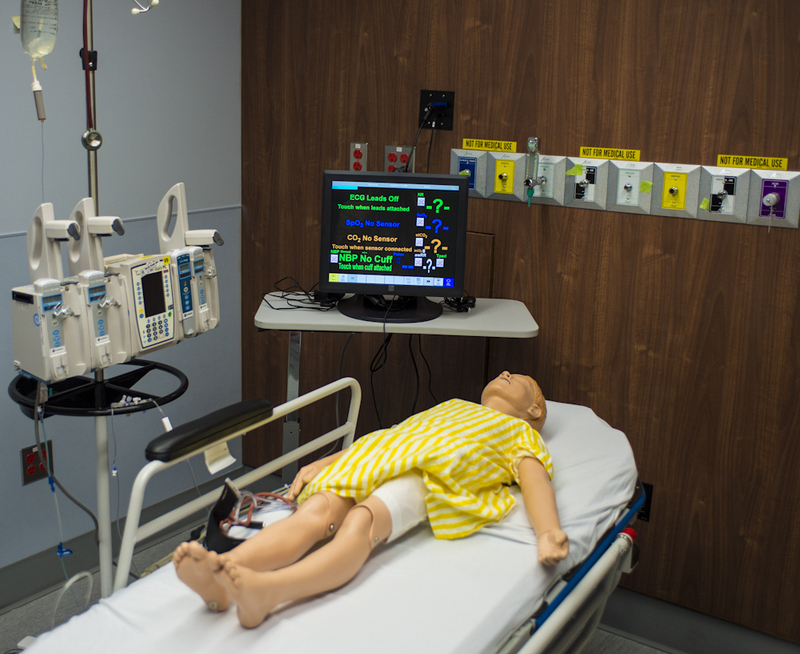 The Centre is home to over 20 rooms, including simulation rooms that closely resemble a typical emergency or acute care environment, clinical skills rooms, and education/meeting rooms. The Centre has nine different high-fidelity baby, child and adult human-patient simulators, as well as other low and medium-fidelity simulators and task trainers. Our users include physicians, midwives, dentists, nurses, respiratory therapists, and other members of the allied healthcare team. The Simulation Program staff support simulation events in both the Centre as well as on the clinical patient care units (in situ). Simulation events include simulation activities within an education workshop, mock codes, mock traumas, mock obstetric and pediatric emergencies, skills practice, and process evaluations. Simulation allows healthcare professionals to practice their clinical skills and teamwork, so that they become fully competent to handle critical situations. Simulation allows practice with no risk to patients. An important aspect of each simulation is the debriefing, where the team can analyze how well they managed the event, and seek ways to ensure effectiveness and efficiency in a similar situation with a real patient.